It’s important to avoid the word ‘user’ in our wardrobe as well! 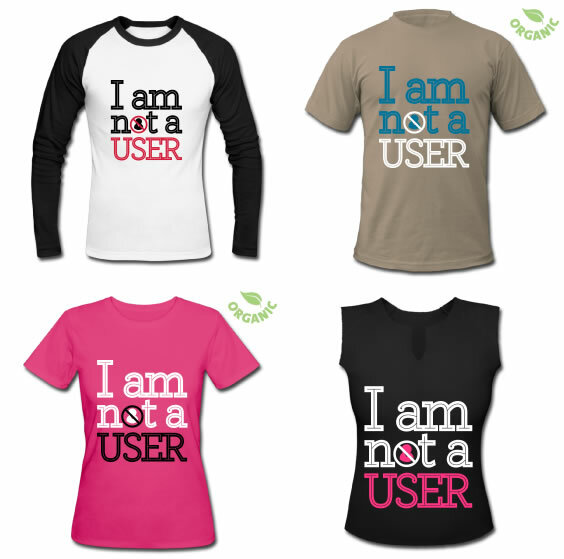 You can buy a Not a USER t-shirt directly from our on-line shop, choosing between different colors and styles for men and women. Do you have an idea for a Not a USER t-shirt (eg. I am an Information Architect, but I am not a USER or Call me whatever but don’t call me USER)? Send us a message and we’ll make one for you!